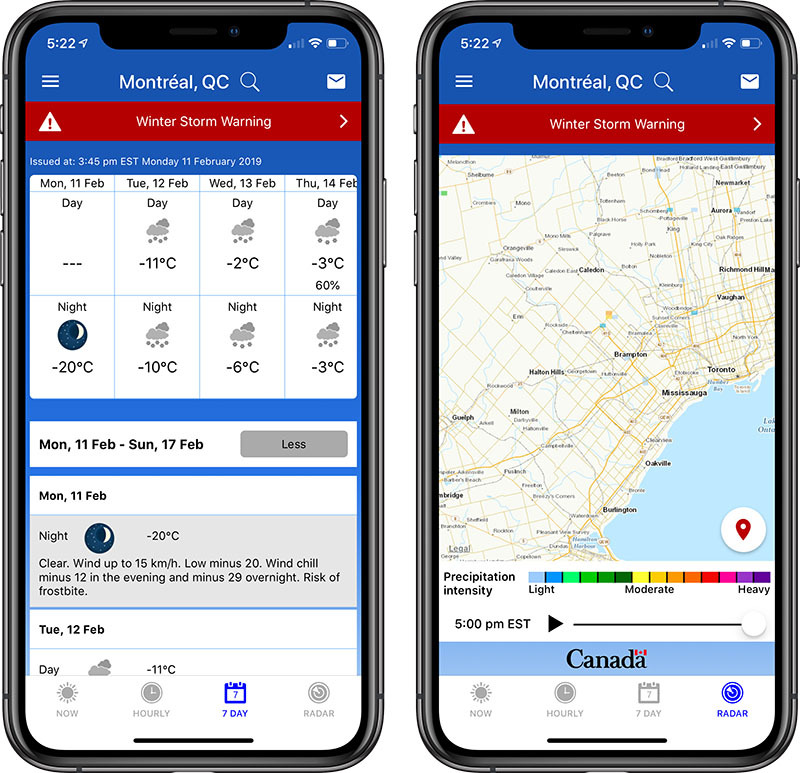 Just in time for a wave of winter storms hitting Vancouver to Toronto to Montréal, Environment Canada’s new WeatherCAN mobile app has exited beta and is now available to download for all iOS and Android users. WeatherCAN is the official Environment Canada weather app, providing an overview of current conditions along with 24-hour and seven-day forecasts for over 10,000 locations in Canada. Weather information is available based on both your iPhone’s location data, if permission is granted, and saved locations. The app also delivers push notifications for all severe weather alerts issued by Environment Canada and features a high-resolution, zoomable radar map visualizing rain and snow intensity over the preceding one-hour period. In-app settings are available for using the app in English or French and viewing temperatures in Celsius or Fahrenheit. 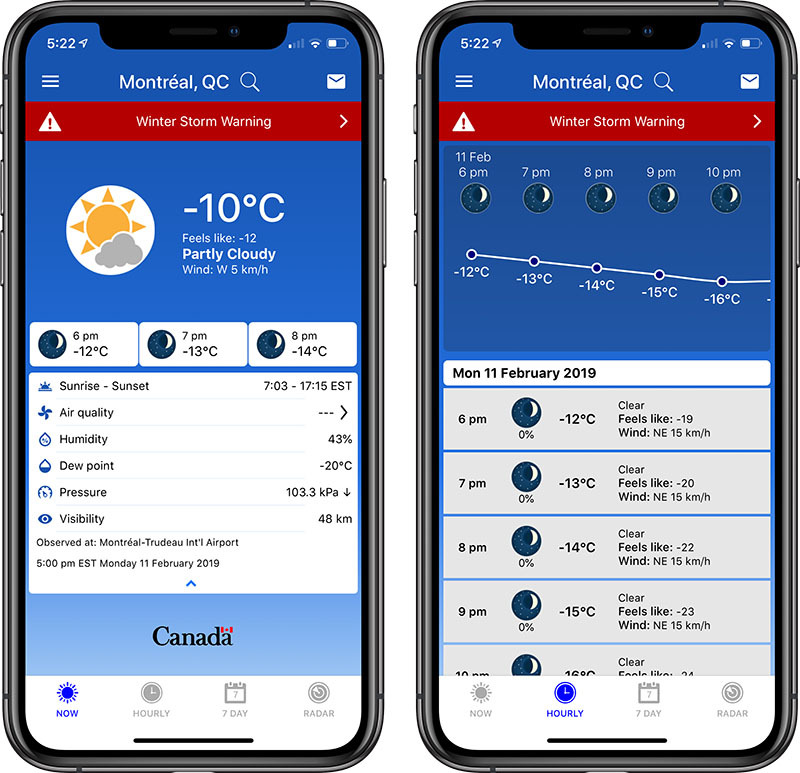 While there are dozens of weather apps for the iPhone, WeatherCAN differentiates itself with official weather information from Environment Canada. The app is also ad-free, unlike The Weather Network’s app and some others. To download the WeatherCAN app on iPhone, simply tap on this link to be directed to the App Store. Requires iOS 10 or later. WeatherCAN beta testing began last November.